Small bunch of spinach /vegetables /alayyaho /efo vegetables etc. 7 big red bell peppers /tatashe. -cook cowskin with little salt till soft drain and set aside. 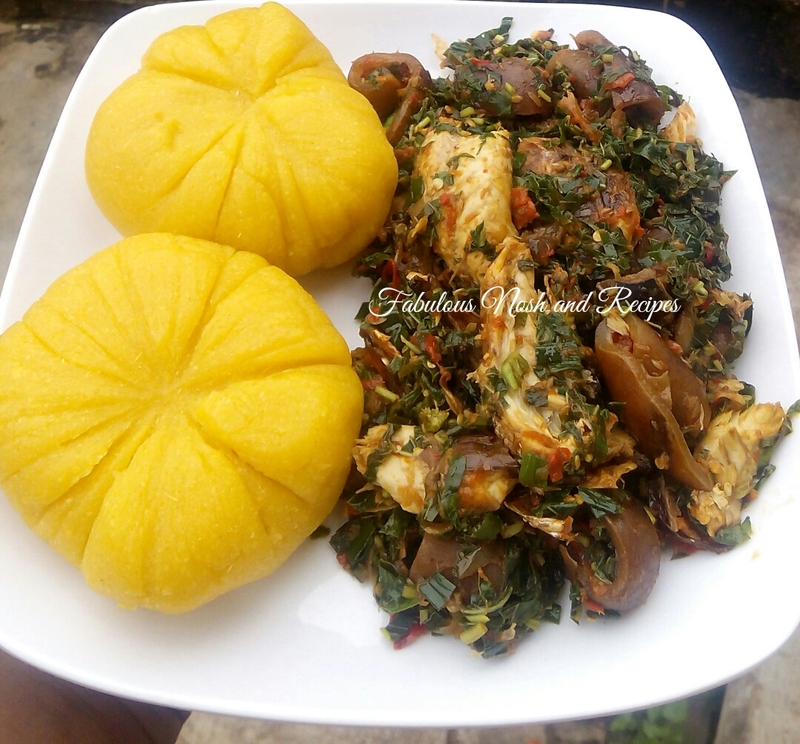 -roughly blend tatashe and onions together i used mortar and pestle for this kind of blending but feel free to use a blender. -chop spring onions wash and allow to drain. -chop vegetables /spinach /alayyaho Also wash properly to remove sand particles drain and pour into a medium sized bowl. -boil some water and add into the bowl containing vegetable, Cover and allow to steam for 5mins, drain and set aside. -in a medium sized pot, add palm oil and bleach, pour the tatashe paste and fry on low heat untill the oil start appearing on top, feel free to add more oil if you like oily soup. -add stock cubes, spring onions, pomo/cowskin and salt to taste Stir and allow to simmer for 7 mins on low heat. -after 7mins add well deboned smoked fish be sure you removed the bones properly, add steamed vegetable stir and allow to simmer for 5mins. -serve with pounded yam, semovita, eba etc. NB :you can add meat of choice simply boil meat along side the cowskin, drain and add.